Happy Wednesday, everyone! It's a busy day on the blog today as I'll be highlighting two fabulous historical books. First up is Traitor's Knot by debut author Cryssa Bazos! England 1650: Civil War has given way to an uneasy peace in the year since Parliament executed King Charles I.
Royalist officer James Hart refuses to accept the tyranny of the new government, and to raise funds for the restoration of the king’s son, he takes to the road as a highwayman. Elizabeth Seton has long been shunned for being a traitor’s daughter. In the midst of the new order, she risks her life by sheltering fugitives from Parliament in a garrison town. But her attempts to rebuild her life are threatened, first by her own sense of injustice, then by falling in love with the dashing Hart. The lovers’ loyalty is tested through war, defeat and separation. James must fight his way back to the woman he loves, while Elizabeth will do anything to save him, even if it means sacrificing herself. 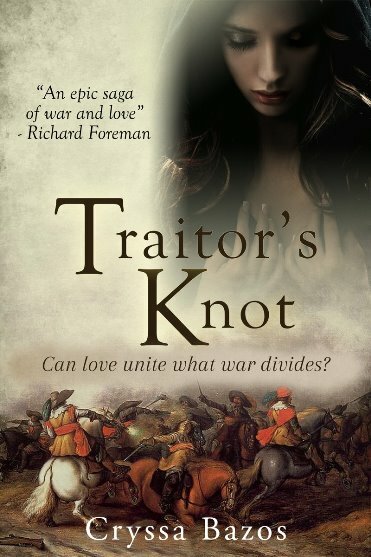 Traitor’s Knot is a sweeping tale of love and conflicted loyalties set against the turmoil of the English Civil War. Cryssa Bazos is a historical fiction writer and 17th Century enthusiast, with a particular interest in the English Civil War (ECW). 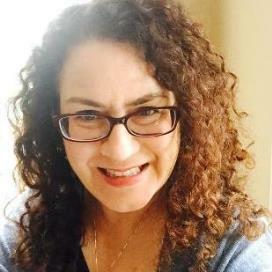 She blogs about English history and storytelling at her blog, the 17th Century Enthusiast, and is an editor of the English Historical Fiction Authors blog site. Cryssa's debut novel, Traitor’s Knot, a romantic tale of adventure set during the English Civil War. Traitor’s Knot is the first in a series of adventures spanning from the ECW to the Restoration and is now available from Endeavour Press. For more information visit Cryssa's website. You can also connect with her on Facebook, Twitter, and Goodreads. Congrats on the book launch! A labour of love. Gorgeous cover. Thanks for the review on this book.